What is so amazing about Grace? 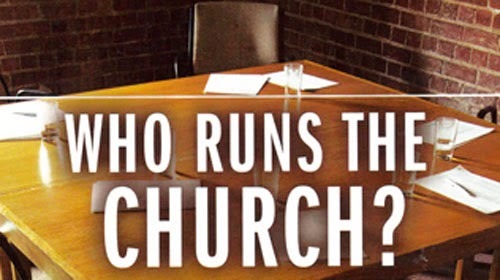 : Who runs the church? Who runs the church? ”I”, said the Pastor, “I am the master. l run the church”. Who runs the Church? “I”, said the deacon, “Don’t think I’ll weaken. I run the church”. Who runs the church? Said the man in the pew, “Let me tell you, I run the church”. Who runs the church? All these are wrong. This is the right: When Pastor and deacon And men in the pew Are simply just channels For God to flow through – GOD RUNS THE CHURCH.